While more than 16,000 heroes will tackle one Kiltwalk this year, three brave Johnston Carmichael employees have gone a step further by taking on the biggest challenge of all – walking the marathon at all four Kiltwalks in 2018. Johnston Carmichael are a Gold sponsor of the Kiltwalk, and Business Solutions Assistant Jillian Stewart, Marketing Partner Gemma Spiers, and Audit Assistant Manager Michelle Campbell are walking to raise money and awareness for Calum’s Cabin and Maggie's. They are joined by eight other walkers taking on this incredible feat, with seven walkers marching for cancer charity It’s Good 2 Give and the other raising funds for Scottish Fire & Rescue Service Family Support Trust. All money raised will receive a 40 per cent boost, thanks to the support from the Hunter Foundation and funds raised from the recent Michelle Obama Dinner. At the end of April, this small band joined 10,157 others in the world’s biggest ever Kiltwalk from Glasgow to Loch Lomond. Last month, the north east was a sea of tartan as 2,300 walkers took part in the 26 mile Aberdeen walk from Potarch to Duthie Park. 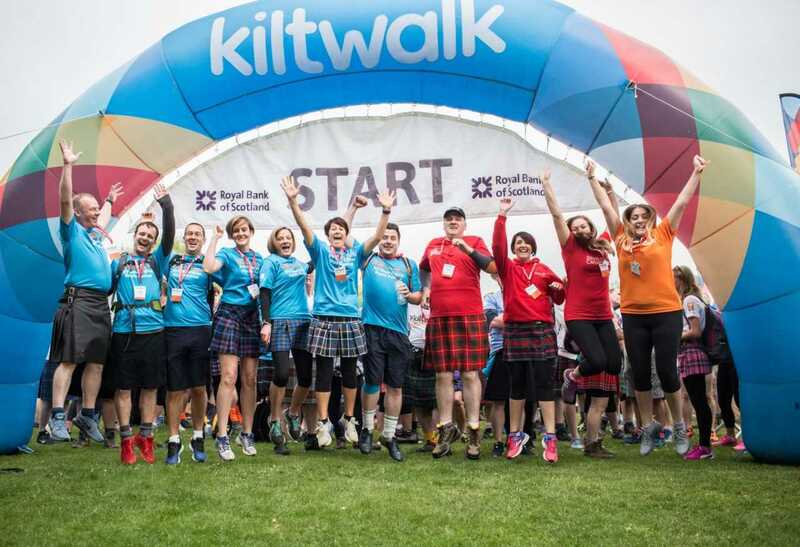 Up next is the Mighty Stride from the 18th fairway at the home of golf in St Andrews to Monifieth for the Dundee Kiltwalk on August 19 and the final leg from Holyrood Park to BT Murrayfield in the Edinburgh Kiltwalk on September 16. Jillian Stewart said: “This is my third year taking on the Kiltwalk and it was time to set myself a new challenge. It won’t be easy, but being able to say I walked 100 miles in all four of the events will fill me with such a sense of pride and accomplishment. It won’t be easy, but being able to say I walked 100 miles in all four of the events will fill me with such a sense of pride and accomplishment. Teams from Johnston Carmichael’s 11 offices across Scotland are lacing up their boots in preparation for their local Kiltwalks, including one brave member of staff from the firm’s Edinburgh office who is undertaking all four of the marathon hikes. Speyside Kiltwalkers can count on a top class event after Johnston Carmichael, were announced as gold level sponsors for the August 14 charity walk. More than £500,000 has already been sent to Scotland’s children’s charities from Royal Bank of Scotland Kiltwalks earlier this year in Glasgow and Aberdeen, with the total set to be further buoyed by next month’s Moray Speyside event.